Delivering enhanced features to help organizations clearly communicate and collaborate on the design of solutions, systems, and processes at scale, Blueprint’s latest release of Storyteller provides significant innovation to the agile planning market. February 15, 2018 - Toronto, ON: Blueprint Software Systems, a leading provider of Agile planning and regulatory change management solutions, announced today the release of Storyteller 4.0, the latest evolution of the solution that previously made waves across the industry and landed on Gartner’s 2018 Magic Quadrant for Enterprise Agile Planning tools. 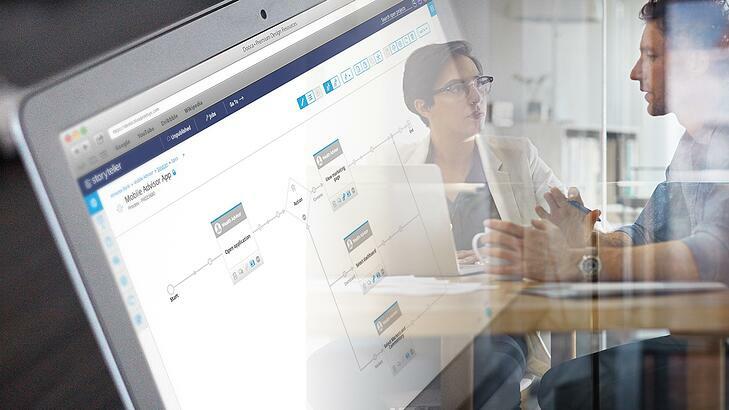 With new and updated capabilities, Storyteller’s highly-anticipated release delivers features that will help Blueprint customers clearly communicate and collaborate on the design of solutions, systems and processes more easily, as well as scale the ingest and management of large sets of data. Universal Model Editor (UME) - The next phase of UME allows users to visualize the design of solutions, systems, and processes in high fidelity. With the introduction of 3 new shapes libraries, the enhanced diagram & design editor allows users to create the most complex of models, including UML Use Cases, Flowcharts, Entity Relationship Models, and more. Bulk Edit - This new feature allows users to efficiently and effectively manage change within large sets of data and adjust multiple artifacts and their respective properties in a single streamlined user action. Alongside the recent release of Storyteller 4.0, Blueprint has also spent a great deal of effort over the past year developing RCM, a powerful and effective regulatory change management solution. RCM has been purpose-built to help enterprise organizations in highly-regulated industries mature their current Governance, Risk and Compliance practices by providing much needed context, collaboration and precision. This allows them to much more effectively manage risk and compliance across both their business and agile development initiatives. By providing functionality that allows enterprise organizations to easily identify, assess, remediate, monitor and prove compliance throughout the entire development lifecycle, RCM delivers the visibility needed to effectively manage regulatory compliance at scale. By offering an integrated, holistic approach to regulatory change management within an agile environment, Blueprint RCM is positioned to help organizations avoid paying millions of dollars in potential compliance fines, while allowing them to become more proactive in their risk programs by identifying problems before they occur. 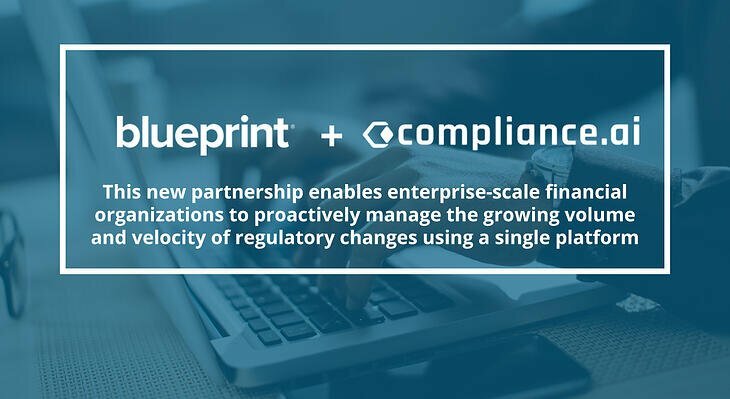 Blueprint provides industry-leading agile planning and compliance management solutions that accelerate and de-risk the digital transformation of large organizations. Our products – Blueprint Storyteller and Blueprint RCM – resolve the complex development and compliance challenges many IT organizations face. These closed-loop solutions drive innovation, collaboration, and alignment; ensure regulatory compliance; and protect the business value of products from definition to delivery.